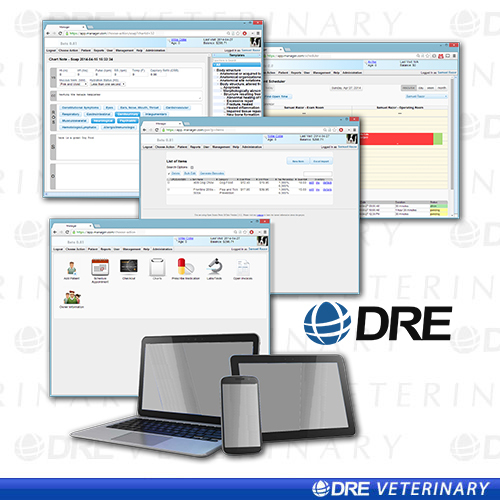 Hippo Manager Veterinary Practice Management Software is an affordable and easy to use, customizable practice software that helps veterinarians and vet professionals manage their offices and patient records. Hippo Manager is a cloud based software, so information can be accessed anywhere, anytime on any device with Google Chrome web browser. Hippo Manager is easy to use and requires no IT department set-up, so you can get started in minutes. 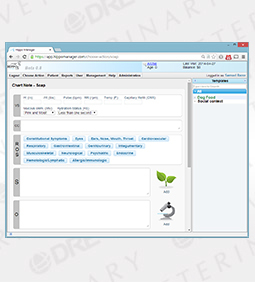 Medical Histories and Charting - Recording medical histories in Hippo Manager is intuitive and flexible. Patient charting features integrated templates that allow appointments, reminders, billing, user tasks and more to occur instantly as you add information to the patient record. Appointment Scheduler - Manage all appointments through Hippo Manager's intuitive appointment scheduler which gives you the ability to add resources, customize views, use color schemes, export data for reminder calls or post cards and much more. User tasks can also be assigned to resources to ensure that operations are organized and schedulable. Point of Sale System - Hippo Manager features an integrated point of sale system which facilitates transaction entry, invoicing, coupons, gift cards, discounts, inventory, email receipts and more. All of this functionality works seamlessly and intuitively with all other areas of the application so that no charges are missed. 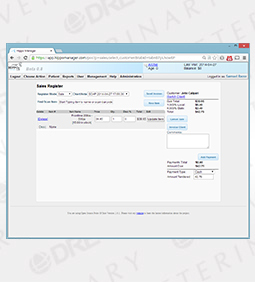 Inventory Management – Easily manage your inventory with Hippo Manager’s inventory management to maintaining stock levels or accurately tracking margins. 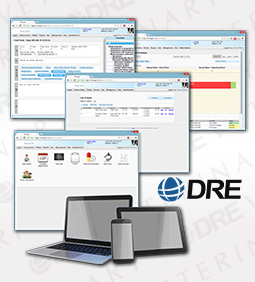 Inventory also integrated with POS system to create detailed reports and business intelligence tools. Document Management – Unlimited storage is included in Hippo Manager. Free up office space by eliminating paperwork or add files, images and results to patient files for easier access. Accessibility – With Hippo Manager, your practice files are accessible from anywhere, on any device with Google Chrome web browser – even a tablet! Hippo Manager also gives you immediate access to data back-ups and disaster recovery and unlimited back-up storage. Support – No support fees and a US based help desk help with any troubleshooting or training issues. Video training is also available 24/7!